If you are looking for a change of employment or just starting out in the workforce, in most cases, you will need to know how to create a resume. A resume is a document that lists your degrees, accolades, skills, employment history, and work experience. This document is important because it’s a first impression to the person considering you for hire. 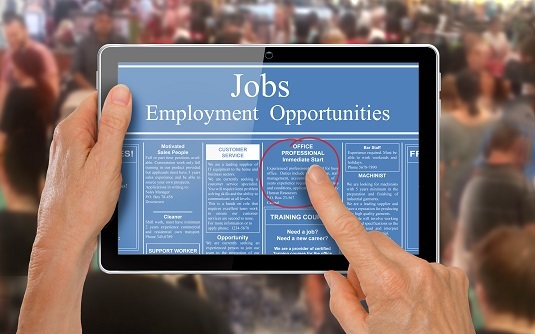 If you want to get your resume noticed and have no idea how to get started, you can always use a resume template from within the word processing program of your choice. Keep in mind, effective resumes are always left-justified. This means that all the headings and sections of your resume run a straight line down the left side of your document with no indentations. Should you use a resume header? 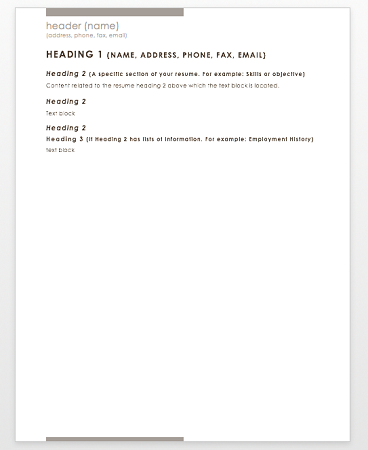 Instead of a Heading 1, consider using a resume header. The difference between a heading 1 and header is the heading 1 is the first set of words typed in a document and a Header is embedded in the top margin of a document. If you choose to use a header, your name and address will not only be set just a little be higher than other applicants, but will also be embedded in your document and will appear on multiple pages if your resume ends up being larger than the recommended one page. Keep in mind, heading 2 will still be used for the multiple sections of your resume. If you do choose to use a header, you will not use a Heading 1, in this instance. The objective section of your resume is optional. This section is often listed first and is essentially a summarized version of your cover letter and can be used in its stead. This area explains why you want the job and is generalized to fit multiple positions so you don’t have to make a custom resume for every job. If you choose to make a cover letter, you can find cheat sheets, help, templates, and tips online or within your word processing program. Help is usually only a few clicks away in most instances. If your resume runs longer than one page, consider omitting the objective section and attaching a formal cover letter. What skills should you list in your resume? The skills section of your resume is also optional. This section is often listed if you possess skills related to the job you are trying to land. How crucial is the education section in your resume? The education section of your resume is not optional and should list all of your educational experience, whether it is relevant to your position or not. This area will list all diplomas, degrees, and certificates you’ve earned from educational institutions. The education section is crucial since most professional jobs have some sort of education requirement just to qualify for the position. What should you list in the employment history section in your resume? The employment history/experience section of your resume is not optional. A prospective employer wants to know what you’ve been up to and if you can handle the work they want done. This section should list either the last 4 employers or last 10 years of employment. Do not list every job you have ever had. This will bulk up your resume and make it unappealing if not unreadable. What is listed in the awards section of your resume? Do not provide references on your resume. While it was common practice in the past to include personal and professional references, now it is only necessary to include them if the application specifically requests them. Only provide them on the application and not on your resume. It is not a bad idea to have a long-winded version of your resume saved on your computer (or in the cloud) that you can pull pieces from to make more custom resumes that pertain to the specific field you are applying. Having a concise, “Short, but sweet!”, resume that uses positive action words is exactly what will guarantee you that new job you are after.